The Board of the Northeastern Ontario Recreation Association recommends the following change to the constitution for consideration at the upcoming Annual General Meeting on Wednesday, September 26, 2018. A By-law relating generally to the transaction of business and affairs of the Association. One (1) Director will be elected from the four (4) Districts by member delegates who reside within those Districts. Nominees can be either a practitioner or volunteer. (If at the time of the election, a nomination is not put forward for a vacant position, a professional or volunteer can then be nominated for a one (1) year term). Five (5) Directors will be elected at large by members of the association at the annual general meeting. In addition, the Board shall have the option of inviting one liaison non-voting staff person from a Ministry related to NEORA's mandate which hereinafter shall be referred to as "the Ministry", and may have liaisons from other government entities. 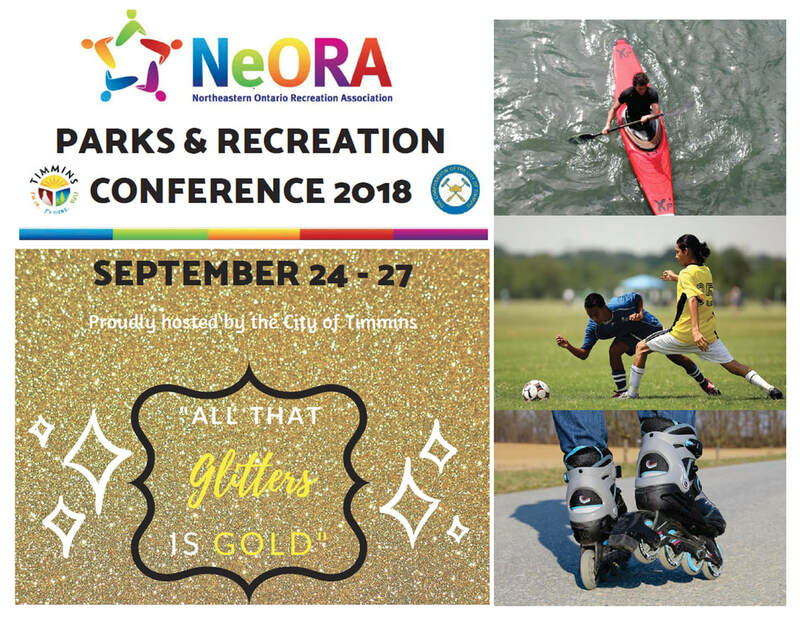 The 2018 registration package for NeORA's Park and Recreation Forum is here.